Revolution Lifestyle is a 3-columns Widget-ready theme created for WordPress. This theme can also be used on any web host for personal or blog sites. 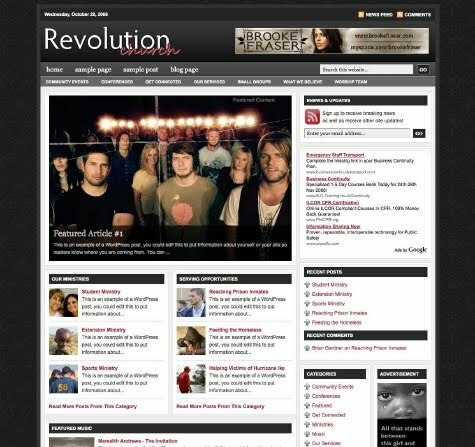 Revolution church is a 3-columns Widget-ready theme created for WordPress. 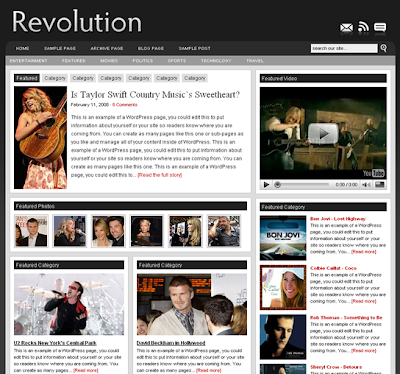 Revolution Music is a 3-columns Widget-ready theme created for WordPress. Revolution Pro Media is an insanely customizable 2-columns Widget-ready theme created for WordPress. 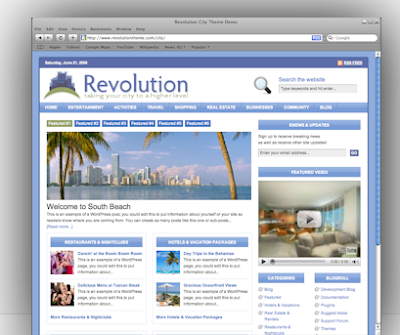 Revolution City is a 3-column Widget-ready City Portal theme created for WordPress. Colors: Blue and Gray .